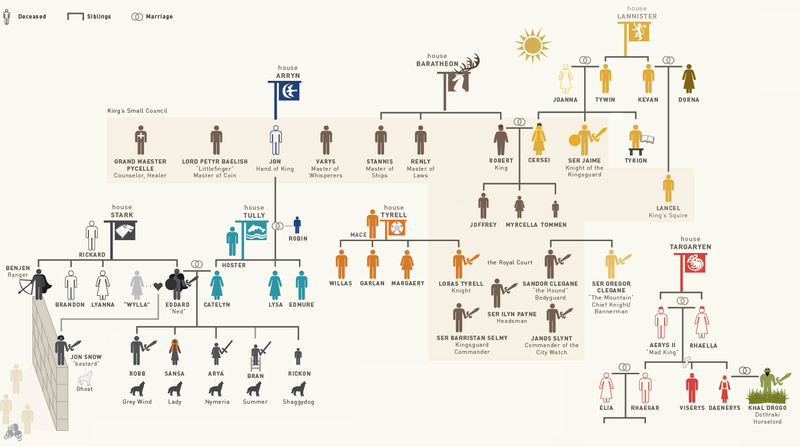 Infographic Of The Day: Who The Hell Are All These People On “Game Of Thrones”? 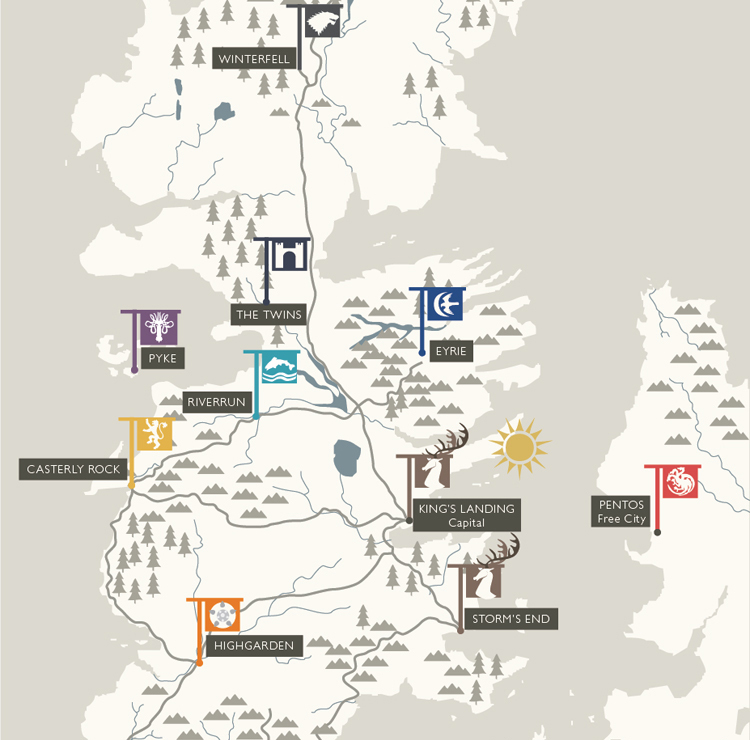 We’ve told you before that we’re serious Tolkien geeks, so it was probably inevitable that we’d get sucked into the new HBO series Game of Thrones, based on the novels of George R.R. Martin. It’s been a mixed blessing. Right then, so that’s all cleared up! Ha, just kidding. 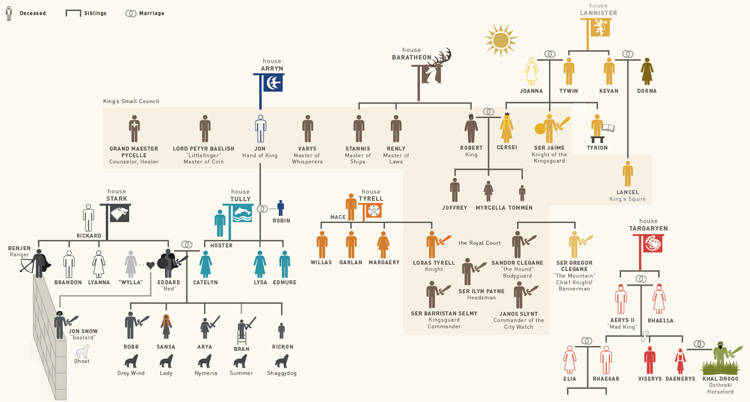 But at the very least, we’ve finally wrapped our head around the main strands of characters, and how they’re related (or not). We didn’t realize before that the “Mad King” killed by that tall blonde guy was actually the father of those two riding along with the horde of savages. Oh god. Help us now. This is going to be as confusing as Lost.